But now a third wave is upon us, disrupting the existing pedagogies. This evolution of education is heralded by MOOCs (Massive Open Online Courses) provided by the likes of the Khan Academy. Education is now about empowering the learner not just through style but also through access. While at first glance one would imagine the purpose of education is clear and easy to identify, if you canvass just a few people in your social network, I think you will realise the intent for education is not at all clear. The purpose of education has evolved over time. It also differs slightly depending on whether you take the view of society, the educator, or the parents. Parents initially used education as child-care as they moved off farms and into the industrial work environment. Then it was about capability teaching, providing skills and abilities that would serve them in later life. In more recent times, education has become the tool used to prepare them for the competitive nature of the workforce. Educators used to work on a principle of severity at all times, as they imposed a set of standards and behaviours on children. Then it evolved into a focus of imprinting certain disciplines onto a child’s brain. The future of education now is what the great teachers have aspired to throughout the ages — to inspire children to learn and use their talents. Society has had different impacts on education as well; initially school was driven by religious interests, eventually it became more about government or political interest, and now it is in most cases about ensuring our people have an advantage on the world stage. What’s clear is that there is no single shaping force, and that the parents, the educators and the policy makers are not on the same page as to the purpose of school. If these purposes were aligned more directly the framework to make education work brilliantly would be more effective. Teachers can lead this charge, by embracing the new pedagogy. I’ll deliver content at my pace and in my way and you will learn if you can. I’ll adjust how and what I teach so that it gives you the best chance for success. I’ll provide you with the resources and content you need so you can learn what you need, in a way that works for you, whenever and wherever you are. I will then make myself available to help you apply that learning in a useful manner. The current javelin world champion, and one of the favourites for gold at this year’s Rio Olympics, is Julius Yego. He is from Kenya, a country probably best known to most of us for its wildlife, coffee and distance runners. Of Kenya’s 86 Olympic medals, 79 have come in running, with the remaining seven in boxing. When Yego came eighth in the final of the javelin at the 2012 London Olympics he had never had a coach or a lesson. Rather, he taught himself via YouTube. When Yego came eighth in the final of the javelin at the Olympics he had never had a coach or a lesson. I met one of his friends at a global leaders conference in Dubai and we discussed his remarkable feat. She said that Julius is always willing to learn and unwilling to let anything structural prevent him getting what he needs. A little closer to home, my kids recently observed that I was cutting oranges wrong. My initial response was skeptical, I’ve had almost 47 years of experience cutting oranges, so what would they know? Then my 12 year old boy Nicii shows me a You Tube video and… bam! I stand corrected. I now know how to cut an orange the proper way. If you are in the business of educating others, you need to understand the changes and evolve. If you are in the business of educating others, you need to understand the changes and evolve. Doing so will be good for you, good for your students and is the key to future-proofing how you run an education business as a thought leader. The great Sir Ken Robinson is leading the education revolution. 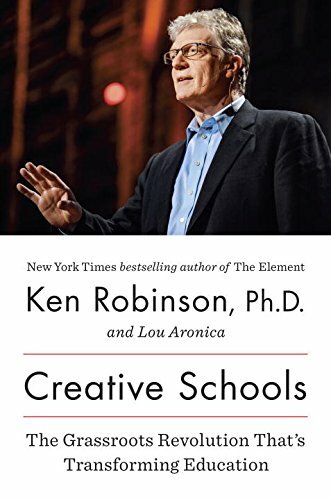 His book Creative Schools makes a compelling case and cites examples of education cultures from all over the globe that are responding to the 21st century needs of education. The most compelling ideas in my opinion are his suggestions around the end of systemised testing (NAPLAN are you listening?) and the shift from curriculum to disciplines. 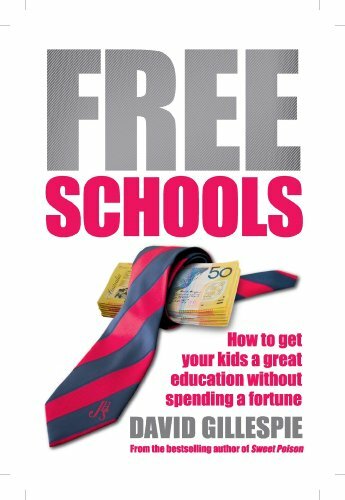 I also love the work of David Gillespie, who suggests in his book Free Schools (useful if you live in Australia) that teacher mentoring is the key lever for educational transformation. Being the reformed lawyer that he is, he makes his case logically and with plenty of supporting evidence regarding the impact teachers make – both good and bad – on the progress of kids’ learning. Principals who should have this as their primary work task are instead buried in administration, red tape and bureaucracy as the government (at least here ‘down under’) continues to oversee the functioning of schools in an attempt to meet parent expectations and attempt to create a ‘best practice’ that is anything but. I reckon all of us in the world of education need to analyse our practices and identify the ways we can improve. As stated earlier, the impact of these changes is not restricted to the traditional classroom teacher role. Speakers, authors, coaches and trainers all need to analyse their delivery style and assess where improvements can be made. Are you embracing Education 3.0? My own response to this paradigm shift was the transformation of the delivery of the Thought Leaders practice methodology from a training session to an immersive program – Thought Leaders Business School. This was a major departure from the traditional way we had been delivering this content for over 15 years. It required a great deal of research, development, and platform investment, not to mention a degree of faith in the efficacy of the new model of education. Our faith was rewarded in the results for our students. Almost universally they have learned faster and implemented more effectively under the new model than the old. The impact of our work with them has been massively increased by embracing the disruption facing the world of education, and making the decision to be at the forefront of this change. If you’re in the business of educating others, I invite you to consider doing the same.